WISMEC Vicino D30 consists of 6ml large capacity vicino D30 Atomizer and 3000mAh Vicino D30 Battery. It has two optional vw and bypass modes, which can definitely meet your needs. WISMEC Vicino D30 consists of 6ml large capacity vicino D30 Atomizer and 3000mAh Vicino D30 Battery. It has two optional vw and bypass modes, which can definitely meet your needs. you can operate the bottom ring to change mode. It also features bottom airflow control and top filling system; The dual circuit protection will make it safe and easy to use. Two 0.2ohm coils will come togrether with the package, will bring you great flavor and excellent vaping experience. Atomizer Head Replacement: unscrewing the atomizer base from the atomizer tube, the atomizer head is located on the base. Screw and replace it. 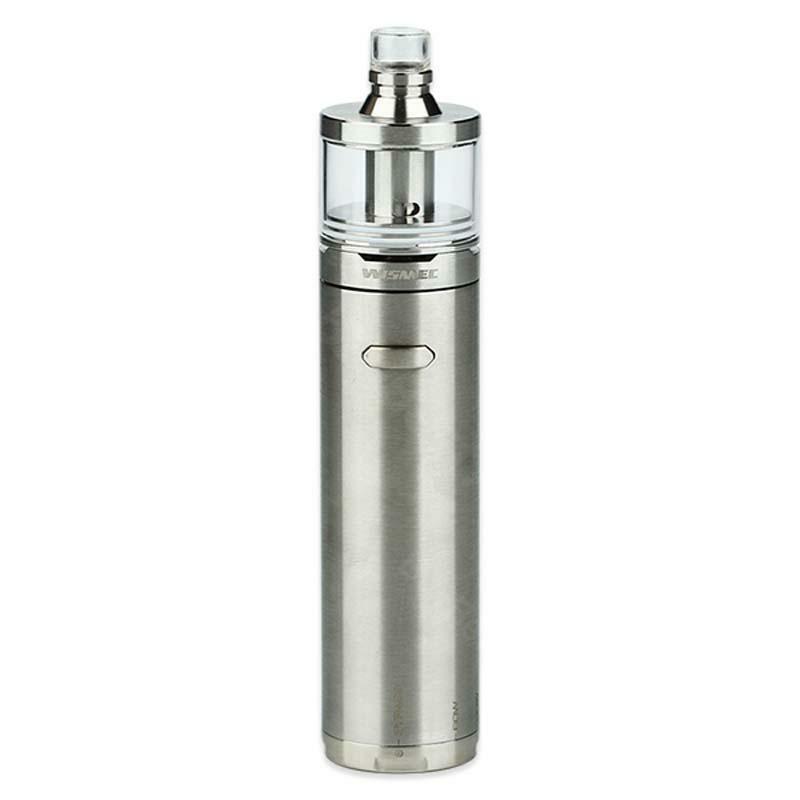 Top E-liquid Filling: unscrewing the top cap from the vent pipe, you can finish the e-liquid refilling through the cambered slot, screw the top cap onto the atomizer tube after filling. 2. Make sure the e-liquid level is between 10% - 90%. Air inflow Control: By rotating the airflow control ring, you can adjust the airflow. • It's an empty cartomizer, you still need order e-juice to use it. At the price I got it it was a good deal, it has very good build quality and feels premium in the hand, the regulable wattage option is great to have in a starter kit, and the battery life is great. it is one of the best hybrid mech mod at this price!! All good! !